Welcome to the Anna ISD Instructional Technology website! Please visit the links to learn more about our department, see what instructional resources we offer, and read our latest AISD Tech News blog posts. We want this site to work for you! Please feel free to submit your suggestions, ideas, and needs so that we can better support you and your use of technology in the classroom! Our goal is to help Anna ISD teachers successfully use technology in the classroom to support student learning & engagement and promote college & career readiness. 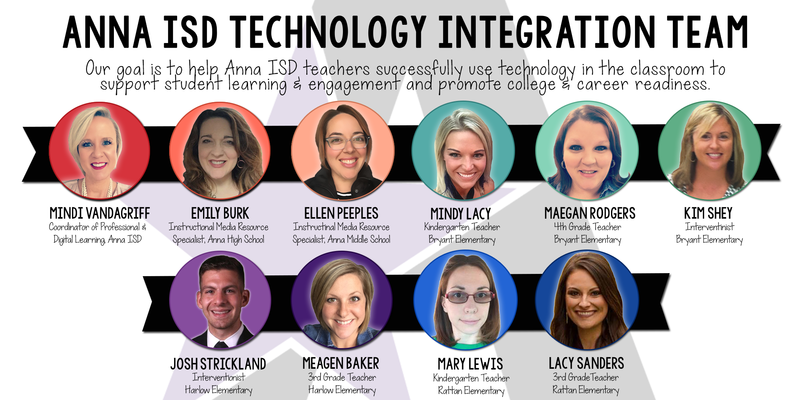 Meet the Anna ISD Technology Integration Team!